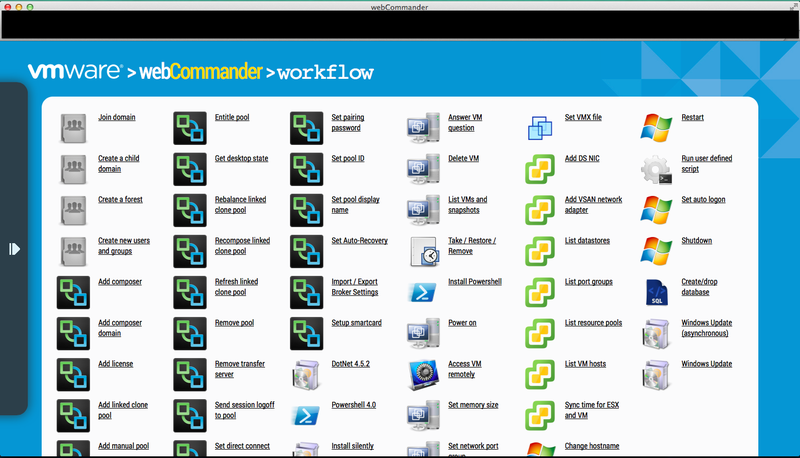 Finally, I found some spare time to upgrade webCommander from 2.0 to 4.0. To make this work, I first had to replace my Windows 2008 R2 to Windows 2012 R2 to upgrade PowerShell to 4.0. 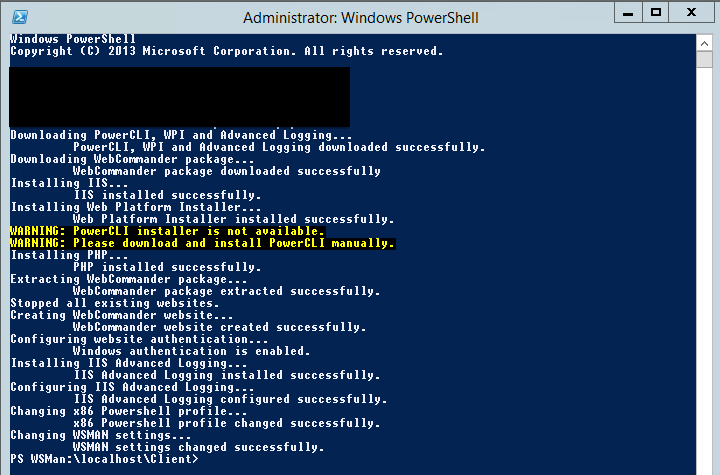 PowerShell could be upgraded without OS replacement but it was a good opportunity to try 2012 R2 out. With webCommander 4.0 release, Jerry (@9whirls) has written an excellent automatic installation script (can be found here) that downloads all pre-requisites from the internet, installs IIS…etc. Since my VM was in private network that didn’t have access to outside network, I first tried it by configuring proxy connection within IE setting. However, got an error message when I ran the script that is attached below. Throughout this blog post, I will aid people who’s trying to install webCommander 4.0 but the VM is in a private network that doesn’t have access to internet. IP Address or hostname of the proxy server. Bear in mind, it requires the appropriate port to be specified in the end. Example is attached below. Username/password that has the access to the proxy server. The change needs to be made are in bold and italic below. Define one WebProxy object with proxy server address in the parameter field. Define a PSCredential object also from the parameter above. Use above defined two objects information for the WebClient object. Again, modification required are in bold and italic below. Once the modification was made, ran the script and wallah, it worked! Navigated to webCommand URL and was successful. In near future, I will commit the change above so that whoever requires proxy to install webCommander wouldn’t need to make a change above. Hope this blogs helped and always welcome to ping me for any issues or suggestions.